Instantly, one notices the beautifully intense, deep, garnet hue of the wine. This profoundly complex vintage yet again showcases the quality of fruit we receive from our Vine Hill Vineyard. Like all of our Founders Reserve Pinot Noirs, this vintage is crafted for longevity. Cellaring for another 2-4 years will allow the wine to continue to build complexity while softening the tannins. Instantly, one notices the beautifully intense, deep, garnet hue of the wine. This profoundly complex vintage yet again showcases the quality of fruit we receive from our Vine Hill Vineyard. On the nose, earthy accents and fragrant tobacco contrast the enticing aromas of blackberries, black cherry and dark chocolate. This full-bodied and richly textured wine is powerful, yet approachable with flavors on the palate of allspice and bramble fruit, which you can taste throughout the lengthy finish of the wine. The intense flavors make this the perfect Pinot Noir for Cabernet drinkers! 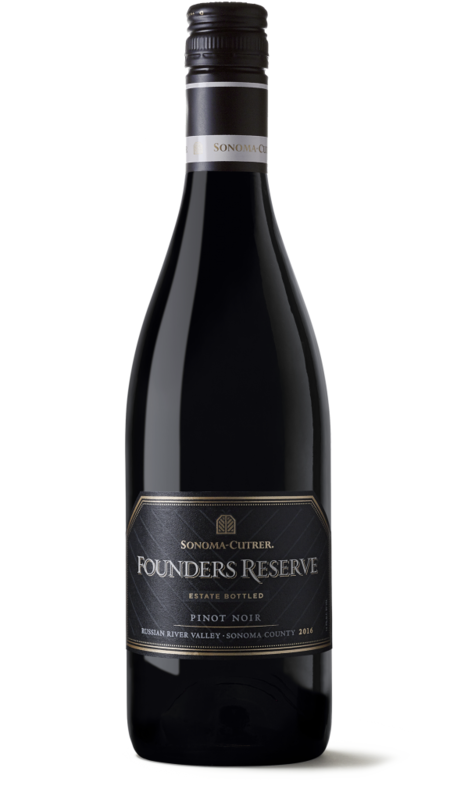 Our Founders Reserve Pinot Noirs are crafted to cellar. Allowing this vintage to bottle age another 2-4 years will build complexity while softening the tannins. Our Vine Hill Vineyard provided the fruit for this vintage from blocks BB and CC. 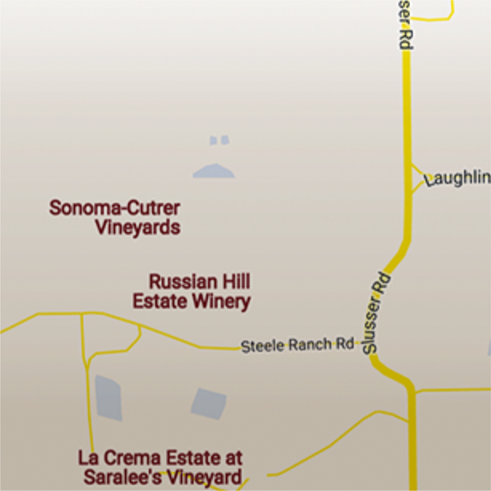 Vine Hill Vineyard, with its more than 400-ft. elevation change contributes unique characteristics to the grapes. Tasting wine begins well before the liquid ever touches your lips - it starts with a look, a swirl, and an intake of breath. The swirl serves to open your vintage and introduces oxygen which creates a bouquet of aromas and allows you to gauge viscosity and alcohol content. 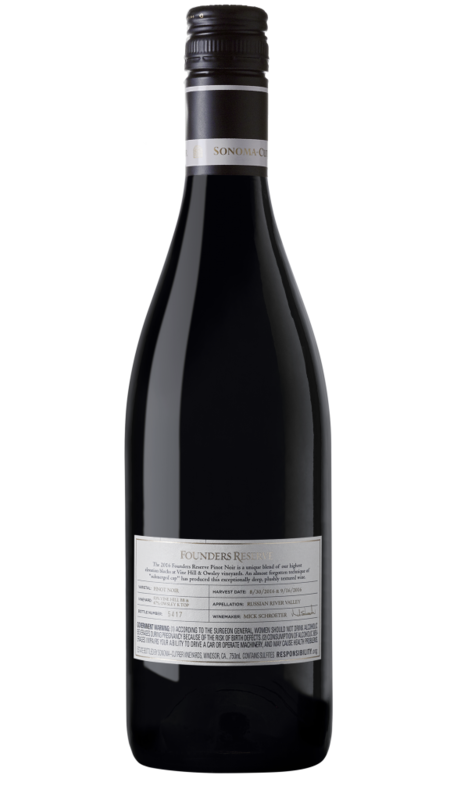 The Founders Reserve's swirl showcases its rich texture and long tears, an inherent to this signature vintage's elevated alcohol content, and an aroma of soft fall flavors indicative of pear, butterscotch, and baked apple. 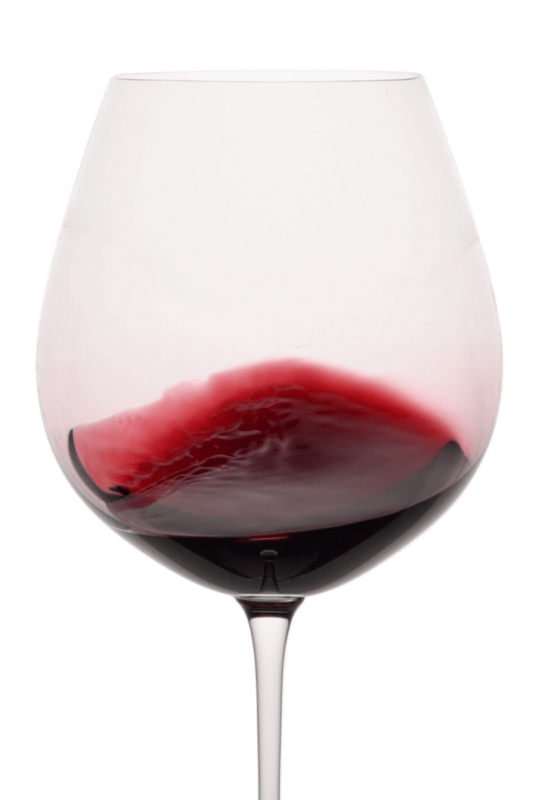 Pinot Noir is one of the most versatile red wines and pairs well with many dishes. A bold vintage with dark berry fruit flavors like our distinctive Founders Reserve Pinot Noir pairs well with rich and hearty ingredients like mushrooms, duck, roast chicken and decadent pastas. A perfectly rich date-night recipe that can be made ahead of time. Have a glass of Owsley Pinot Noir ready for your sweetheart to sip during this romantic meal.